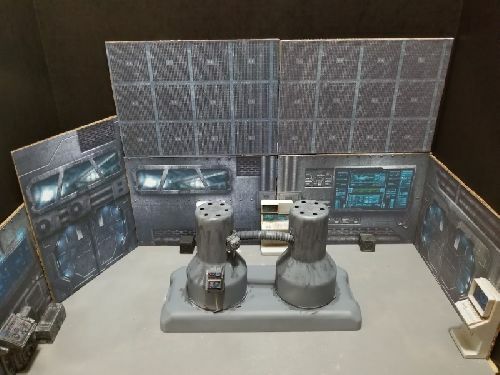 The reactor was one of my first attempts at scratch building a customs set for a background. I call it a SCI-FI Reactor but in reality, it will look good in other environments also. I had two broken Ikea lamps that I took the shell and glued them down to a discarded plastic Dremel accessory holder. 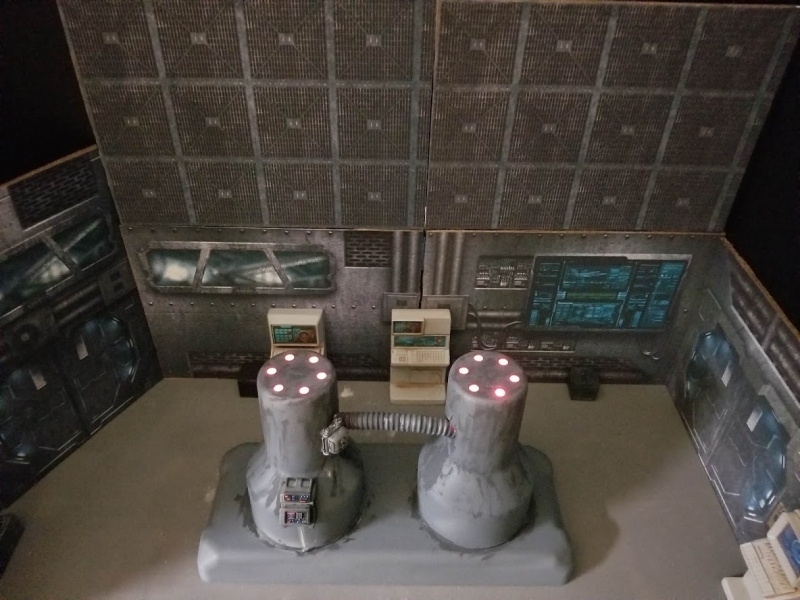 I ordered a Dual Pulsating LED light from a store on eBay called Prop Scenery Lights. I cut holes in the bottom and placed a LED light in each lamp. 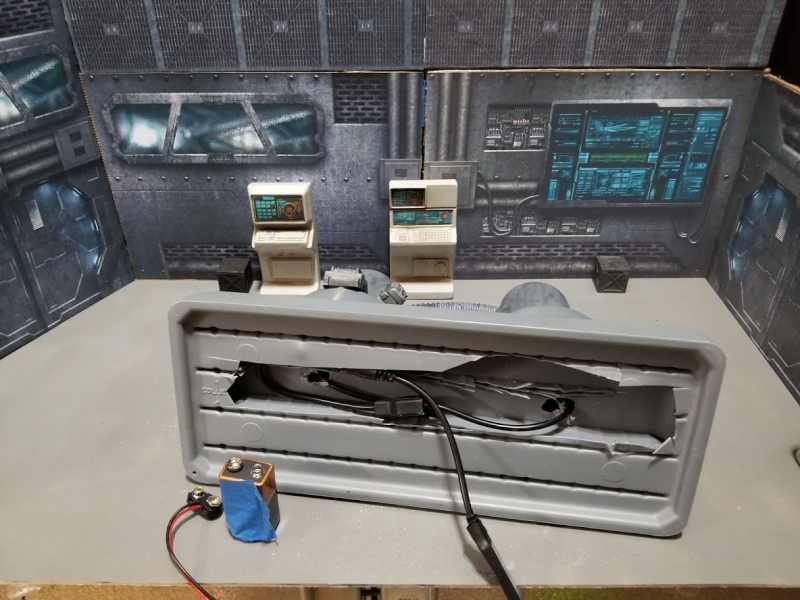 I added primer paint and two control panels from Diorama Outfitters. It is really hard to show how neat this set is in pictures. When the LED lights are on they pulsate giving the reactor a very realistic look. 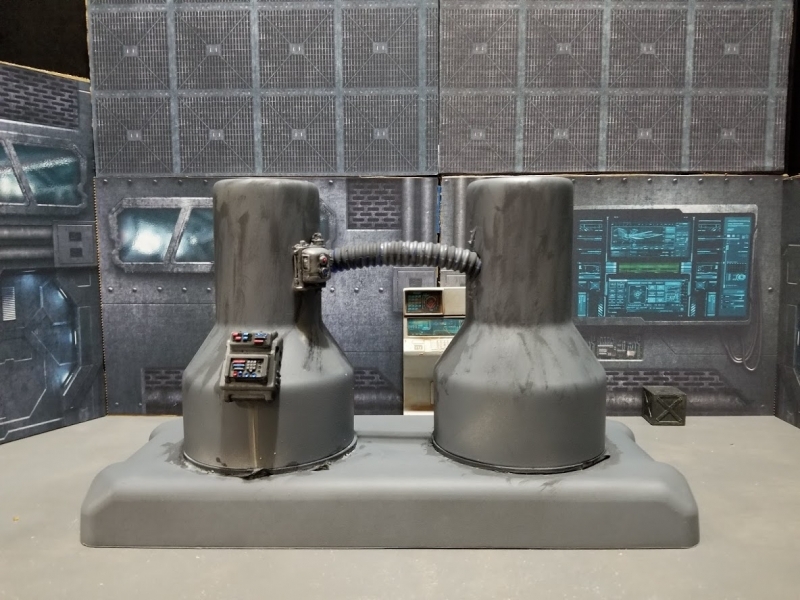 The control panels from Empire Toy Works need no explanation. His products set the standard. The background panels are from a Kickstarter from CX Dioramas. I really did not do them justice because I didn't match them up very well. In the future, I will use this set to show off my custom Marauder Colonial Marines! Enjoy!